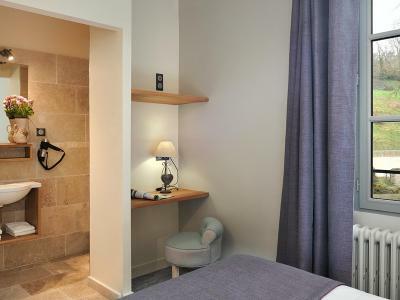 Lock in a great price for Hotel Moulin Des Templiers – rated 8.8 by recent guests! Unbelievably gorgeous location, the inn is set right along a small river or creek. You can sit outside and eat your breakfast or sample the owner's own locally grown organic wines. A great place to take pictures. We spent an hour just walking by the water taking pictures of the creek as its fast moving water broke on the rocks along with the old mill and its water wheel. The room was cozy, modern, and very electronic device friendly. The well designed bathroom was modern and looked like new. The room did offer a partial view of the creek. The family that owns and operates the hotel were very friendly and accommodating. We plan to return the next time we are in France. We loved the medieval towns, churches, and chateaus we found in the area. The views of the rolling hills landscape were fantastic as we drove around the area. We loved Pontaubert and its neighboring towns. The dinner and breakfast were perfect and the location was delightful. There was. Lovely walk along the river for us with the dog. The grounds were lovely by the river with lots of flowers. The old stone mill has been beautifully restored, and the addition with the rooms has all the modern conveniences with an old world feel. It's only a couple of miles outside of Avallon but it feels like you're farther away in a secluded, peaceful setting. Outstanding grounds and restaurant. The price was good too. Breakfast was true Parisian style with croissants, breads, cheese etc. You couldn't pick a better spot to come and unwind. Staff was super friendly. 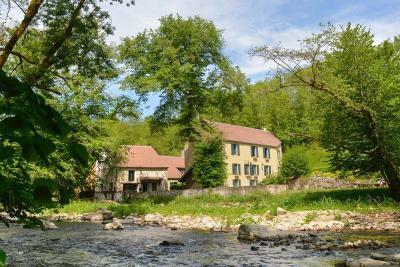 Located in the Park de Morvan, with a river flowing right through the place - contributing to a wonderful night's sleep and great evening picnics. Beautiful setting by river for meals outdoors. Staff was very helpful, meals were delicious. Quiet country location, away from crowds. 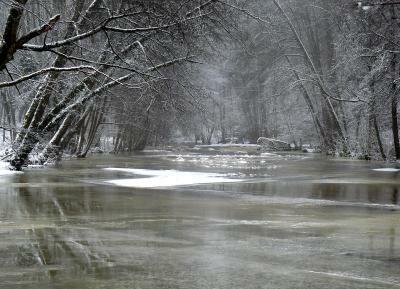 By River in forest. Location on the river is great and having our happy hour there was so good. Do NOT pass up the breakfast. WOW. Best breakfast of our entire 24 day trip. They did not have dinner on Sunday, so we missed what we heard was great and had a fantastic dinner in the little town. 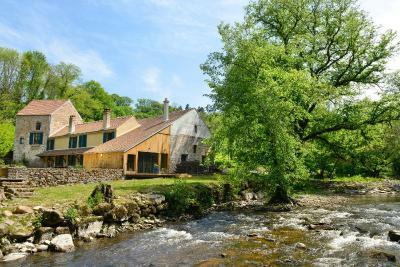 Set on the banks of the River Cousin, this former 12th-century mill is located in Morvan Natural Regional Park. It offers a flowery terrace by the river side. 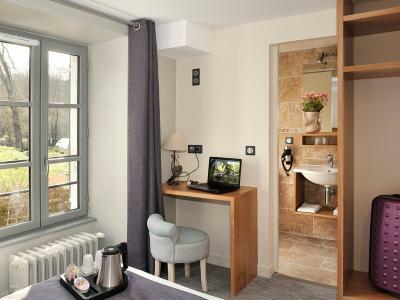 The comfortable guest rooms at the Moulin Des Templiers all feature a private bathroom. Each room is equipped with a telephone and a desk. 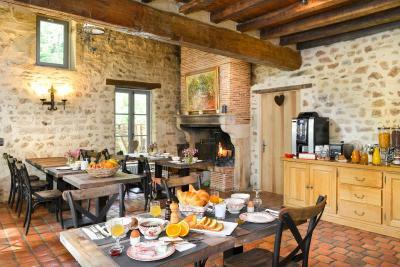 Hotel Moulin Des Templiers serves breakfast every morning in the dining room. Dinner is served in the old mill, upon reservation before 16:00. 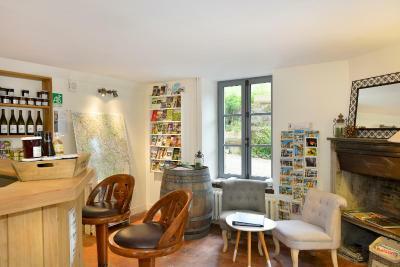 Templiers Hotel features a lounge area with an original fireplace and free Wi-Fi connection. Guests can also relax on the terrace. Free private parking is available on site. Local activities include horse riding, rafting and canoeing. This property also has one of the top-rated locations in Pontaubert! Guests are happier about it compared to other properties in the area. This property is also rated for the best value in Pontaubert! Guests are getting more for their money when compared to other properties in this city. 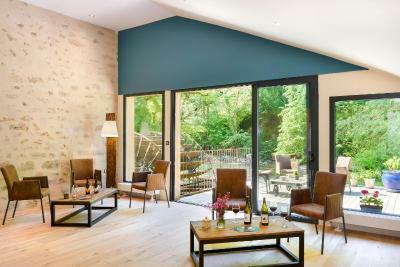 When would you like to stay at Hotel Moulin Des Templiers? 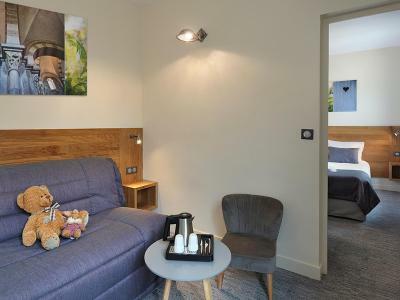 This suite features a large double bed and a sofa bed. 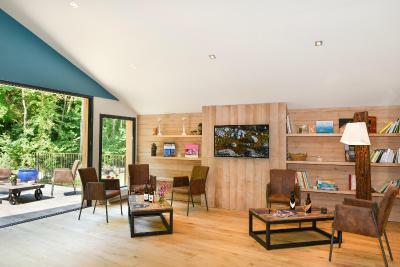 There is also seating area with a flat-screen TV, WiFi connection and tea and coffee making facilities. 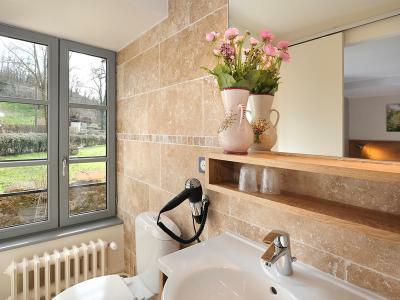 The bathroom is fitted with a shower, hairdryer and a free toiletries. A children's cot can be accommodated in this suite free of charge. 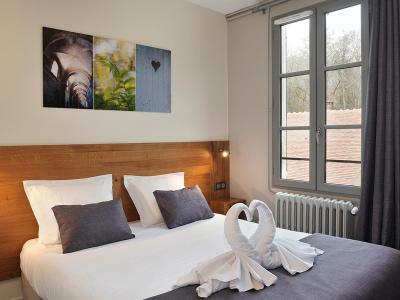 Please note that if the suite is reserved for 2 people, guests can use an extra bed with a EUR 15 extra charge. Located on the 1st floor, this double room offers a flat-screen TV, welcome tray and tea/coffee making facilities. 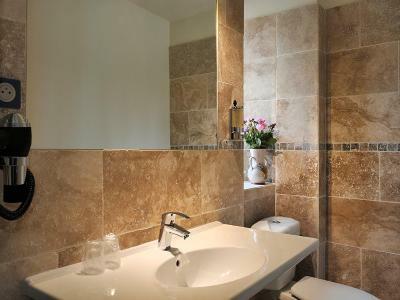 The private bathroom features a hairdryer, shower and free toiletries. Located in the 2nd floor, this superior room offers a flat-screen TV, welcome tray and tea/coffee making facilities. The private bathroom features a hairdryer, shower and free toiletries. 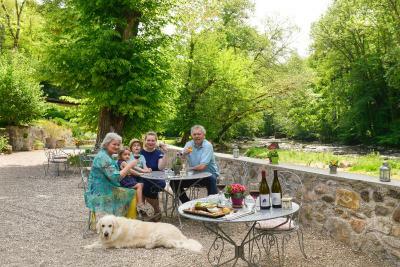 House Rules Hotel Moulin Des Templiers takes special requests – add in the next step! 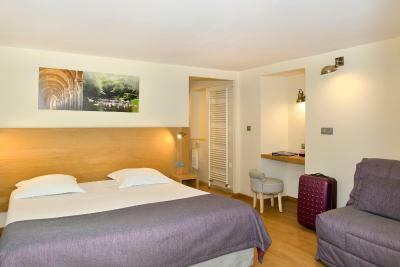 Hotel Moulin Des Templiers accepts these cards and reserves the right to temporarily hold an amount prior to arrival. Guests can request a light meal with local produce at an additional cost. For a group booking of more than 3 rooms, specific cancellation policies will be applied. Please contact the property for more details. We wanted to buy some wine, we even stopped on our way back through the area on our return trip to Paris. But like most family run hotels in Europe, the owners take a well deserved break during the early afternoon prior to their check-in hours. Next visit, we'll buy our wine at check-in. We missed our opportunity to purchase wine at check-in as we arrived very late in the evening. We are very thankful to our hosts for allowing us to stay despite our late arrival. Hotel was rated in a very scenic valley with a nice but challenging walking trail along the river. 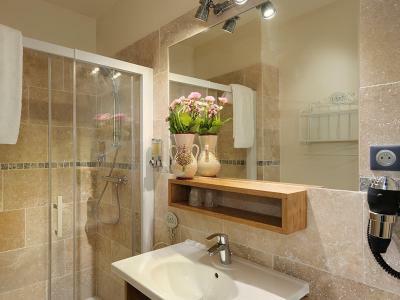 The room itself had a well equipped bathroom with modern utilities, and a large, comfortable bed. The room itself was small; hanging out in the room was not convenient. We ate in the cosy restaurant. Service and food were very good. Altogether, excellent value for the money. Rooms are quite small, but are tastefully decorated with good views. Beautiful building in a very picturesque location next to a river. The water I'll has been very tastefully restored and has a beautiful dinning room looking out over the river. Breakfast was very high quality with fresh ingredients and plenty of choice. The proprietor was really friendly and we were able to arrive later than the standard check in without any fuss, which was greatly appreciated. Nothing much to be honest! The patron and his staff were charming. The food and home produced wine was excellent. The room was clean, very comfortable and with everything we needed. A lovely situation. Calm, quiet....beautiful! Steep staircase to second floor was difficult for senior people with suitcases. Shower was a bit compact. Food and wine from local area was good as was wifi. 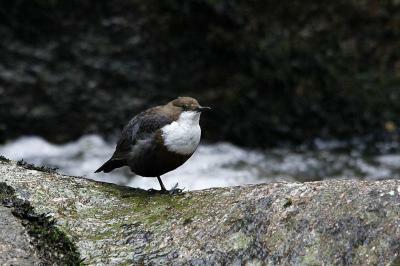 Location beside a babbling brook surrounded by trees was a lovely setting. The moulin was very comfortable but perhaps lacking in ambience. We would have loved to mingle with other guests with a pre dinner aperitif, either by the creek, which really sets this boutique hotel apart, or in the ante room but there was a sense of formality in the atmosphere. The environment lends itself to a more relaxed and intimate setting. Stunning location .... tranquil, natural beauty and sympathetic restoration. Beautifully comfortable beds. The rooms were way too small. No chair, just a tiny stool, no place for anything. It was very cold in the morning and no way to heat the bathroom, that was very uncomfortable. Sadly there is no where to really sit in a lobby, it is closed after dinner it seems and outside it is way to cold, the rooms are too small so that was really inconvenient. Everything is locked up, also the reception. Absolutely overprized. Alone on this trip through France every Hotel, one being a Chateau in the Dordogne (with 2 pools, aircon, heater, table and 3 chairs in the room), were much cheaper. There are no toiletries, there is one liquid soap dispenser in the shower and at the sink. No shampoo, conditioner, soap, body lotion. 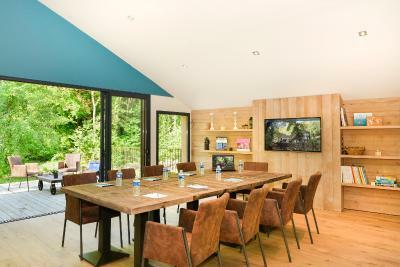 The Mill is nicely renovated and we did like the location. The bathroom was nice and big enough for us. The beds were comfortable. The surroundings was nice and quiet. The rooms looked nice and also the breakfast room had an authentic atmosphere. The breakfast was alright. 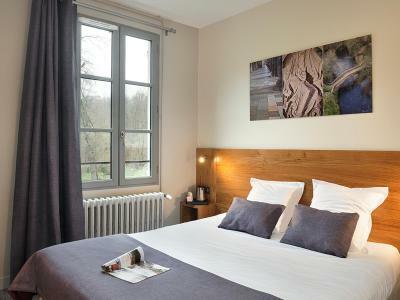 The quiet riverside location, the friendly and helpful staff and the comfortable room. Also plenty of good food for breakfast! After dusk, the river garden was a little dark, so maybe additional external lighting based around a couple of large trees would make a lovely feature? 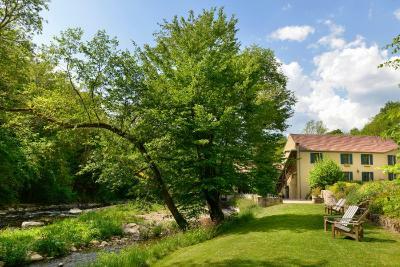 The location is beautiful, set against a woodland backdrop, the hotel is very peaceful & relaxing with only the sound of the running stream in the background. The bedroom & bathroom were a lovely size & my wife & I spent an enjoyable evening at the hotel & we will certainly make a return visit in 2019. It's an attractive and quiet place to stay. I really like the location amid the green and next to the Cousin (the river :o). And with more nature than concrete, there's a nice relax feel to it. And since my last visit, the rooms have been redecorated in an attractively unpretentious way. Everything looks good and feels good. I also like the motel-like concept, without a central stairway and reception.